The Earth is a veritable petri dish for weird species of animals. Sometimes these animals cross breed. Whether they are created in nature or science, the results can sometimes be… unsettling. We found a few of these rare creatures to educate the public on these oft misunderstood pieces of the animal kingdom puzzle. Take this Pugape. Not that pretty to look at, right? 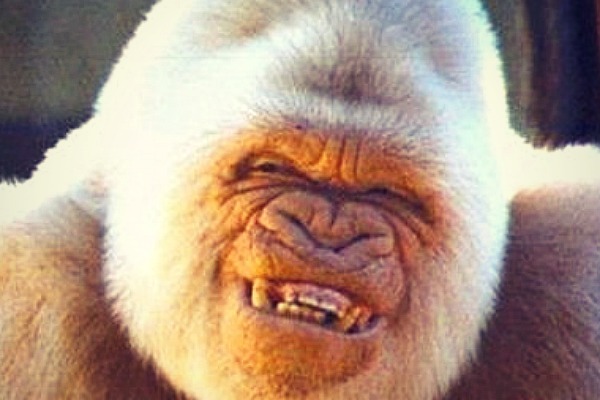 Well, nature is not always going to be attractive! It’s brutal! 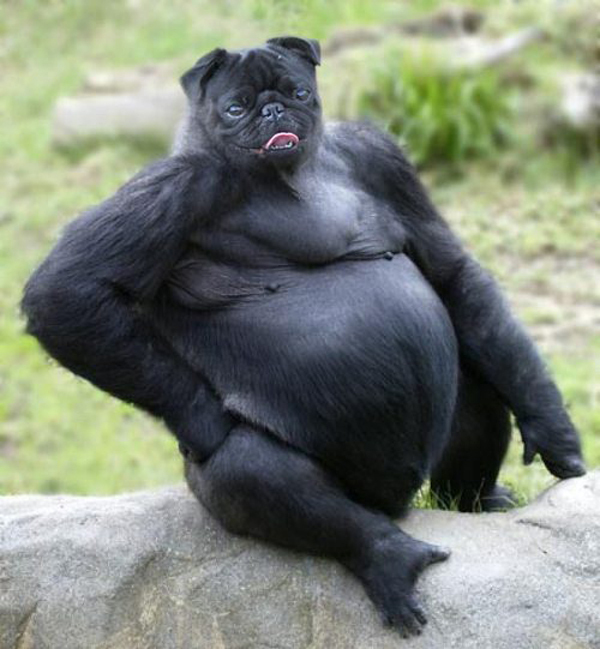 This Pugape is an Ape and a Pug hybrid animal that moves slowly but yaps quickly. No one knows how in the world this animal came to be, but it generally can be found either sniffing and circling a spot on the ground for 4 minutes or learning sign language. This Hipporse has a difficult time grabbing grass with its giant teeth, but can swim like no one’s business with those long, lithe legs. The Hipporse is a fierce enemy, able to run like the wind- but its heavy head can sometimes get in the way and many a Hipporse has tripped on the weight imbalance. Needless to say, they are still formidable opponents. 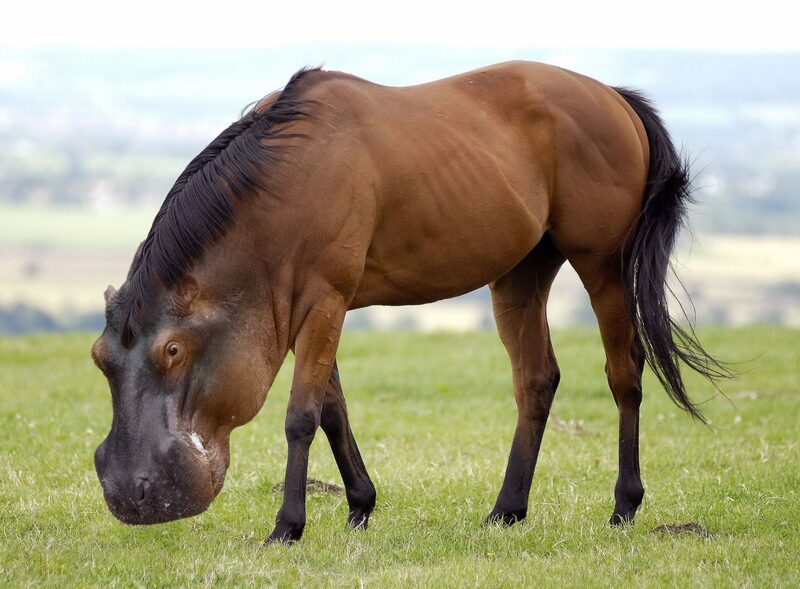 Here is the rare and luxurious Rhinooster. This hybrid animal has been known to charge at threats, but it does not have the horn of a typical rhino. 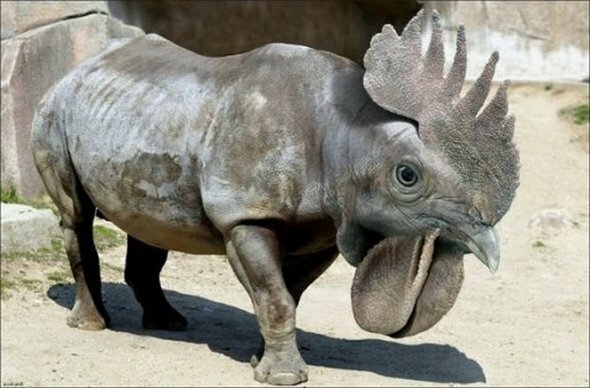 The Rhinooster will run at an opponent and start pecking at it with its large beak. The Rhinooster’s wattle, aka the deflated erm… sack under its chin, helps regulate the overall temperature of the animal, but also makes for a great conversation piece. 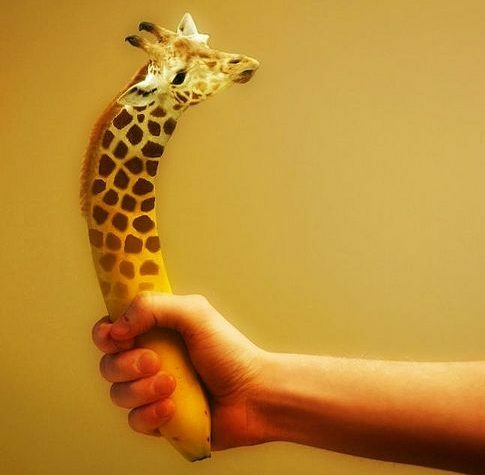 This unfortunate creature is the Bananiraffe. In a small coastal town in Thailand, a group of giraffes have slowly morphed into Bananiraffes, from their unbridled consumption of bananas. They grow on native trees, waiting to drop down and be taken home as a low-maintenance pet for locals. These hybrid animals are just the beginning of what could be a new system of species of wacky animals that are just fun to look at. While they might not make a lot of sense, we prefer it that way, and frankly you should too.